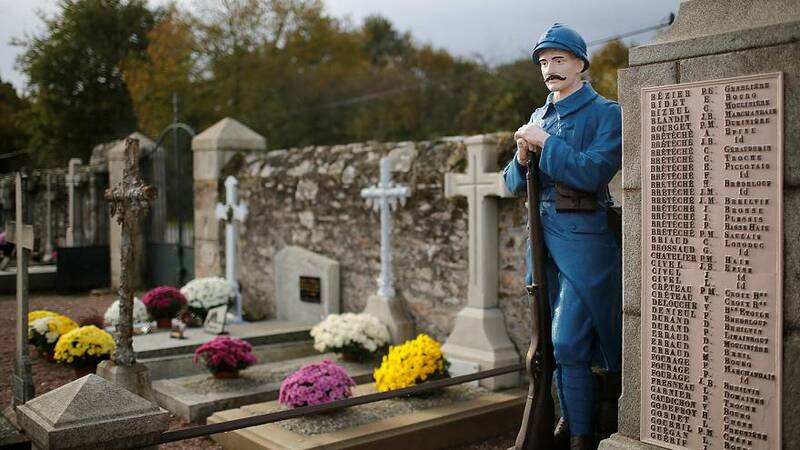 Armistice Day commemorations have taken place in France and the UK to remember the end of the first world war and those killed in conflict. In Paris, President Francois Hollande led tributes laying a wreath under the Arc de Triomphe. The solemn ceremony came nearly a year to the day after 130 people were killed when gunmen and suicide bombers attacked the French capital. ‘‘November 11 marks the memory of the First World War and of a rising wave of nationalism that could not be contained. We must continue to remember it,’‘ Hollande said. In Britain, London and the rest of the country fell silent for two minutes, pausing to remember those who have lost their lives in war. Prince Harry, who served two tours of duty in Afghanistan, led the commemorations at the National Memorial Arboretum in the centre of the country. Outside Europe, tributes were also held in Sydney, and poppies projected onto the city’s opera house, as Australia remembered its war dead. The Royal British Legion charity, which since 1921 has sold red poppy symbols to raise money for veterans of the armed forces, said this year it wanted people to ‘‘rethink Remembrance’‘ to embrace veterans from recent conflicts as well as those who had died in the two World Wars. The players of England and Scotland’s national football teams have said they plan to wear poppies during their World Cup qualifier on Friday. That could see them in breach of FIFA rules which forbids wearing anything that could be perceived as a political statement.